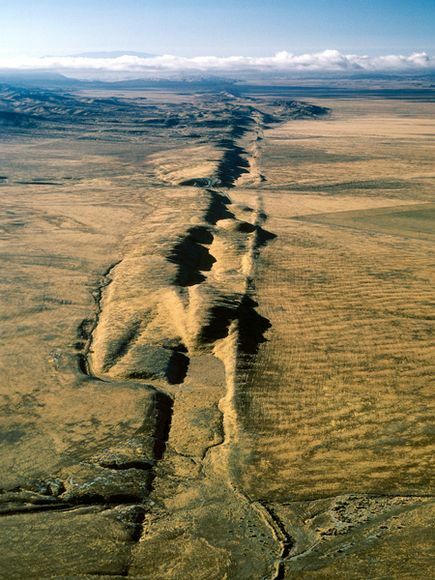 At the scale of the terrain, the fault line can be considered both a seam and a score. It is a score containing the instructions on where to crack the earth’s surface, and becomes a seam at the moment that it manifests itself after an earthquake? Pictured above, the San Andreas fault line.